Kalamazoo, MI: On April 28th, investigators from the Kalamazoo Valley Enforcement Team conducted an investigation in the 3700 block of Easy St in Kalamazoo. This investigation was in reference to the distribution of high quality crystal methamphetamine. 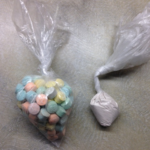 During the course this investigation, KVET investigators learned that a subject from Las Vegas NV had been trafficking large amount of crystal methamphetamines to Kalamazoo and utilizing local hotels to store and distribute the narcotics. KVET investigators gathered intelligence and conducted surveillance of the suspect. Investigators observed the suspect making a hand to hand transaction and made contact with him. Upon making contact with the suspect, a large amount of suspected methamphetamine was located as well as a large amount of US currency. Investigators were able to identify two hotel rooms belonging to the suspect. Search warrants were executed on the rooms, where additional large amounts of crystal methamphetamines and US currency were located. 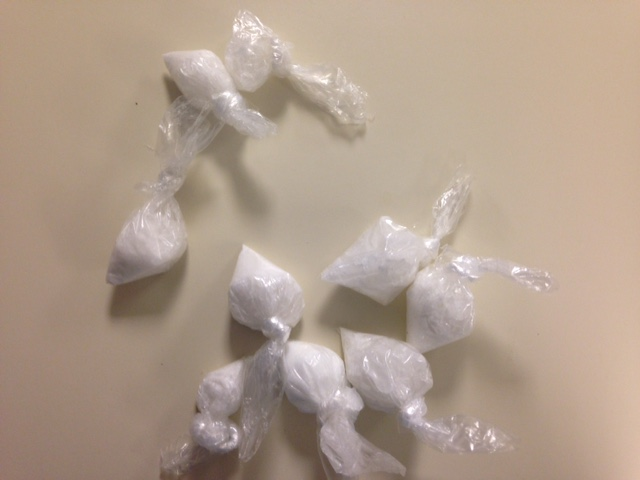 In total, over 7 ounces of methamphetamine (over 1000 personal hits) and over $13,000.00 in US currency was located during this investigation. The 27 year old Las Vegas man was arrested at the scene and lodged at the Kalamazoo County Jail. Charges of Possession With Intent to Distribute Methamphetamine and Delivery of Methamphetamine will be forwarded to the Kalamazoo County Prosecutor’s Office for review. Kalamazoo, MI: On Friday, April 22nd, 2016, at approximately 8:00 p.m., Kalamazoo Public Safety officers responded to the 500 block of Ada Street on a report of a man with a gun hidden in the waistband area of his pants. As officers arrived on scene, they located a male matching the description walking down the street and attempted to detain him. A struggle ensued between the officers and the suspect. During the struggle, the suspect made an unsuccessful attempt to disarm the officers by grabbing their holstered guns. The suspect proceeded to bite one of the officers twice on the leg causing injury. A Taser was eventually used to subdue the suspect. Once handcuffed, the suspect spit in the officer’s face. The suspect was searched and a loaded .22 caliber handgun was found. A file check of the handgun revealed that it had been reported stolen out of the Kalamazoo Township Police Department. Kalamazoo, MI: On Wednesday, April 20th, 2016, at approximately 3:50 p.m., Kalamazoo Public Safety officers responded to the 100 blk. of E. Prouty Street reference a report of a man that had been shot. Upon arrival, officers found a large crowd gathered in the roadway, but no victim. A witness told officers on the scene that the victim left in a vehicle, possibly headed to the hospital. A short time later, the victim arrived at Borgess Hospital. Witnesses also stated the suspect fled the scene in an unknown direction. The victim’s injuries are believed to be non-life threatening. This matter is still under investigation, and efforts to locate the suspect are continuing. Kalamazoo, MI: On April 19th, investigators from the Kalamazoo Valley Enforcement Team executed a search warrant in the 3200 block of Andover Dr in Oshtemo Township. 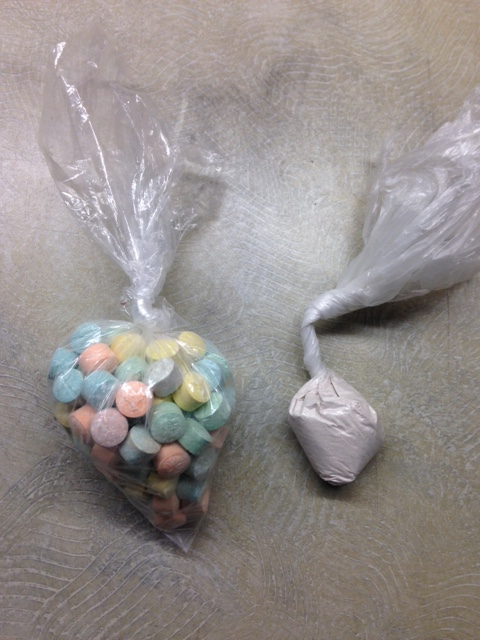 This warrant was in reference to an on-going investigation into the distribution of high quality heroin. 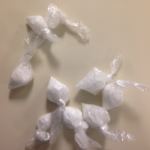 During a search of the home, investigators located suspected crack cocaine, a large amount of high quality heroin, a large amount of ecstasy (MDMA) and materials used in the packaging of heroin. A 34 year old Oshtemo man was arrested at the scene and lodged at the Kalamazoo County Jail. 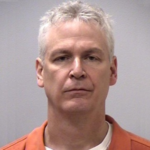 Charges of Possession With Intent to Distribute Heroin, Possession With Intent to Distribute Crack Cocaine, Possession With Intent to Distribute Ecstasy and Maintaining a Drug House will be forwarded to the Kalamazoo County Prosecutor’s Office for review. Investigators made contact with several citizens in the area in reference to the action taken during this investigation. Many of the citizens contacted expressed their appreciation to KVET investigators for addressing this problem house.